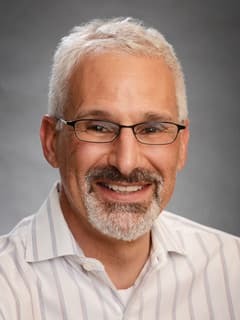 Akiva S. Cohen, PhD, is a Researcher in the Department of Anesthesiology and Critical Care Medicine at Children's Hospital of Philadelphia. Mao S, Xiong G, Zhang L, Dong H, Liu B, Cohen NA, Cohen AS. (2016) Verification of the cross immunoreactivity of A60, a mouse monocolonal anibody against neuronal nuclear Protein. Frontiers in Neuroanatomy. 10:54. Kimball BA, Cohen AS, Gordon AR, Opiekun M, Martin T, Elkind J, Lundström JN, Beauchamp GK. (2016) Brain Injury Alters Volatile Metabolome. Chemical Senses. 41:407. Palmer CP, Metheny HE, Elkind JA, Cohen AS. (2016) Diminished amygdala activation and behavioral threat response following traumatic brain injury. Experimental Neurology. 277:215. Yuan F, Xiong G, Cohen NA, Cohen AS. (2015). Optimized protocol of methanol treatment for immunofluorescent staining in fixed brain slices. Appl Immunohistochem Mol Morphol. 2017 Mar;25(3):221-224. doi: 10.1097/PAI.0000000000000293. Xiong G, Redding K, Chen B, Cohen AS, Noam A. Cohen NA. (2015). Non-specific immunostaining by a rabbit antibody against gustducin α subunit in mouse brain. Journal of Histochemistry and Cytochemistry 63: 79-87. Cohen AS. “Traumatic Brain Injury: it’s all about balance”. Keynote Speaker Neuroscience Research Day. Syracuse University; 2017 Apr 7; Syracuse, NY. Cohen AS. “Frontolimbic Excitatory/Inhibitory Synaptic Imbalances and Dietary Therapy following Traumatic Brain Injury”. Invited Seminar Speaker in the Department of Neurobiology and Anatomy, University of Texas Health Science Center; 2017 Feb 23; Houston, TX. Cohen AS. “Brain-injury induced hippocampal Excitatory/Inhibitory imbalances contribute to episodic-like spatial memory impairment”. Winter Conference on Brain research; 2017 Feb 2; Big Sky, MT. Cohen AS. “Excitatory/Inhibitory Synaptic Imbalance and Dietary Therapy Following Traumatic Brain Injury”. Keynote Speaker Australasian Winter Conference on Brain Research; 2016 Aug 27; Queenstown, New Zealand. Cohen AS. “Frontolimbic Excitatory/Inhibitory Synaptic Imbalances contribute to cognitive impairment caused by Traumatic Brain Injury”. Invited speaker National Neurotrauma Association Annual Meeting; 2016 Jun 28; Lexington, Ky.
Cohen AS. “Excitatory/Inhibitory Synaptic Imbalance and Dietary Therapy Following Traumatic Brain Injury”. Invited speaker Association for Chemoreception Sciences Annual Meeting; 2016 Apr 22; Bonita Springs, Fl. Cohen AS. “Brain-injury induced prefrontal cortex circuit dysfunction contributes to working memory impairment”. Invited speaker Winter Conference on Brain research; 2016 Jan 27; Beaver Run, Co.
Cohen AS. “Excitatory/Inhibitory Synaptic Imbalance and Dietary Therapy Following Traumatic Brain Injury”. Invited speaker Spring Hippocampal research Conference; 2015 Jun 10; Taormina, Sicily. Cohen AS. “Traumatic Brain Injury, It’s All About Balance”. Invited Speaker at the CHOP Scientific Symposium; 2015 May 5; Philadelphia, PA.
Cohen AS. “Excitatory/Inhibitory Synaptic Imbalance and Dietary Therapy Following Traumatic Brain Injury”. Winter Conference on Brain research; 2015 May 5; Big Sky, MT.